China’s coal imports are set to slump in December as traders and utilities wind back purchases following signals from Beijing that it will stop clearing shipments until next year, trading companies and utilities told Reuters. However, domestic coal prices have eased in recent months, even as China enters its peak demand season over winter, with utilities sitting on record coal stocks amid a slowdown in electricity demand growth. China National Building Materials International (CNBM), a major buyer of Indonesian and Australian coal, will stop buying foreign supplies in December for its utility clients, a senior executive with the company said. “Although Beijing did not issue an official document, we were told by utility clients that they need to keep imports this year below last year’s level,” said the executive, who declined to be named as they are not allowed to be quoted by media. A manager at Huaneng Group, one of China’s major utilities, confirmed that he was told by the country’s chief economic planner, the National Development and Reform Commission (NDRC), to rein in purchases to ensure China’s imports do not exceed last year’s level. He declined to be named because he is not authorized to speak to media. The NDRC and China’s General Administration of Customs did not respond to faxed questions on the issue. Huaneng Group did not respond to calls, an email and a fax seeking comment. CNBM declined to comment. 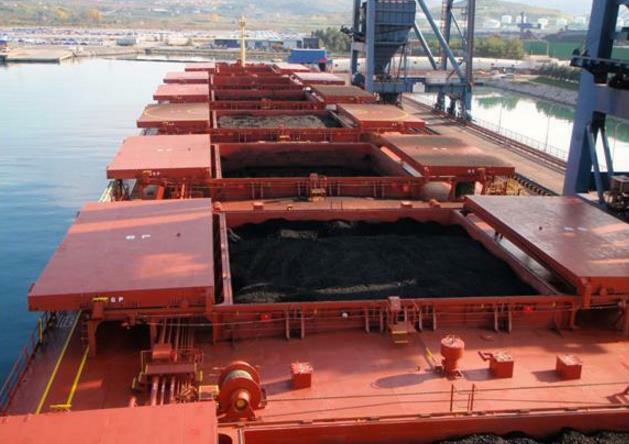 International markets are taking note, with prices for Australian thermal coal cargoes for prompt loading from its Newcastle terminal falling this week below $100 per tonne for the first time since May. China has in the past imposed coal import restrictions, which has had the effect of increasing local prices by lowering competition. Earlier this year it banned smaller ports from receiving coal and it has also carried out strict inspections on low-quality coal. Customs also said that cargoes arriving in November will not be able to clear customs until late December or early January next year, the CNBM executive said. Huaneng currently has some cargoes on the water near ports, unable to dock because of the delayed import clearance, the manager said. Two coal traders based in eastern Zhejiang province said November arrivals in line with the trend so far this year would likely trigger a ban on imports. Both declined to be named because of the sensitivity of the matter. Domestic thermal coal futures prices have fallen more than 5 percent so far in November, compared with an 8 percent gain in November last year, while domestic output has risen 5.4 percent in the first 10 months of the year to 2.9 billion tonnes. Coal inventory at the six largest coastal power plants, a benchmark for stocks, rose to 17.32 million tonnes on Nov. 20, equivalent to 33 days of consumption, up from only 20 days a year ago, data from Qinhuangdao port showed. A renewed ban on imports would still not be enough to revive the market as appetite from power plants remains weak, the Huaneng manager said. The utility’s bookings in November had dropped sharply from previous months, he added. “It’s another bad year for utilities,” he said, pointing to Beijing’s shift to support clean energy, including gas for residential heating and industrial boilers, and the impact of slower economic growth.